Pharmacy benefits: Super-sized, minimized or right-sized? Simplifying product lines requires business decisions that can improve or decrease product quality, satisfaction and costs. Similarly, employers’ health benefit decisions to streamline choices can impact health care quality, patient satisfaction, work productivity and total healthcare costs. 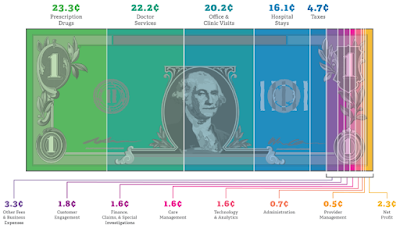 Over the past few years, healthcare benefits and choices have narrowed to manage costs. Thus, the number of in-network providers, pharmacies, and reimbursable treatments has decreased. Within pharmaceutical benefits, medication choices can be limited using exclusive or restrictive formularies. Exclusive formularies cover only a subset of treatments for a condition. 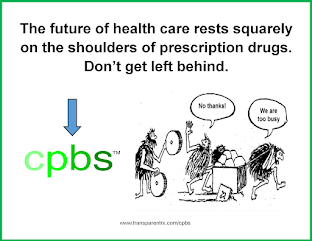 For example, patients who need alternatives excluded from the formulary pay the full cost. Restrictive formularies limit when medications are reimbursed based upon meeting certain criteria, such as liver damage from Hepatitis C treatment. 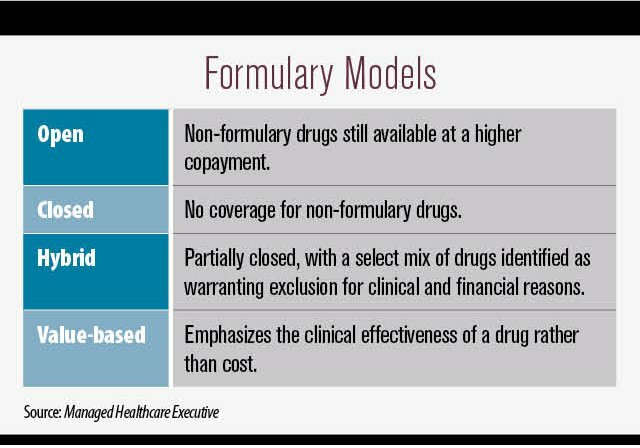 The criteria used to determine what is on formulary often assume a “one-size fits all” approach to medication management. Preferred treatments are selected based upon what works for the “average” patient, regardless of disease severity, age, gender, race or patient preferences. Because these restrictions or exclusions narrow treatments for common conditions, such as diabetes, asthma, hypertension and immunology, these formulary designs can affect many plan members. Rather than improving healthcare quality and lowering costs, limited health choices without thoughtful consideration can have unintended consequences by lowering healthcare quality and raising costs. “Super-sized” benefits, or too much flexibility in medication choices, can lead to higher costs without improved care. “Minimized”, or a “one-size fits all”, approach to treatment choices can lead to unintended consequences. As we learn more about biological, genetic, and predictive analytic approaches to personalized medicine, ensuring pharmacy benefits are “right sized” is an important and complex task. To understand how to “right-size” benefits, the National Pharmaceutical Council conducted interviews and focus groups that included researchers, clinical experts, employers, and health plan pharmacy and medical directors. These experts agreed that the need for treatment flexibility for a particular condition should drive the flexibility permitted in the benefit design.